Integrity - Emu Web Design - What Does it Mean to Have Integrity? A Message From Emu to Our Potential Partners. Does This List Resonate With You? You get that marketing done right costs money and takes time. You will evaluate return on investment and make data-based choices. You understand the risks vs. the rewards, and you accept them. You understand that every good business relationship is mutually beneficial. You respect the people working hard for your success. You add value to the industry you belong to. You hold us accountable for things we control, not things we don’t. You hold yourself accountable for things you control, not things you don’t. You are willing to communicate with us as we work on your behalf. Good Online Marketing is Like Rolling a Boulder Over a Hill. The boulder is heaviest when you first get started. After a while, your hard work gets you to a point where the grade isn’t so steep, and things start to level off a bit. Eventually, you get over the hump, momentum starts to build, and your hard work pays off. At Emu, we choose to approach marketing knowing that its just like everything else in life and in business… consistent hard work, done the right way, will yield results. In our community and in all others, we believe that there are businesses that work for good, and sadly, businesses who operate at the expense of others. At Emu, we choose to work with people and businesses that respect the processes and the people that are working alongside them to bring success. Businesses that make the world a better place for their customers and society at large. Businesses that succeed because they work hard and provide value to those they serve. At Emu, we want to work with business and people who are good. Profit is a goal, but not our primary one. We exist to help good people win. If a company or individual isn’t good, there are many marketing firms they can choose, but we are not among them. 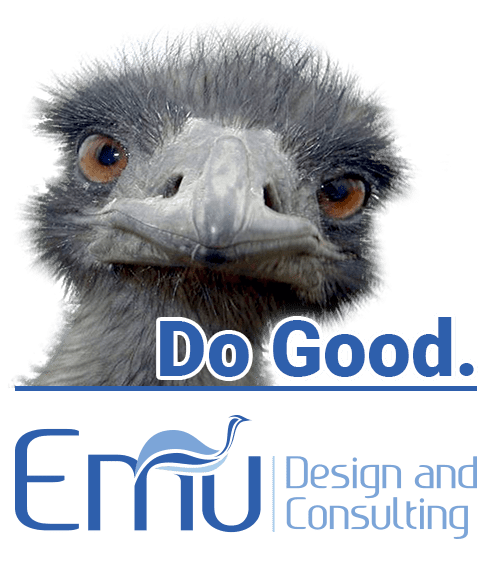 Emu does amazing online marketing for those working for good in their business, in their lives, and in their community. At a profit if we can, at a loss if we must, but always amazing online marketing. We promise that we will do our best to be a partner in your success. If we ever drop the ball or aren’t pushing our weight, then you can call us on it. We will do the same for you. Ready to Start Pushing With Us? 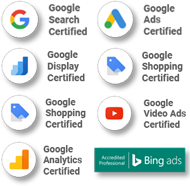 After several years and several thousands of dollars, I finally found a Web design / marketing company that is getting me results month after month at very reasonable prices. Steve is extremely easy to work with and builds a marketing plan around your company’s specific goals. I would highly recommend EMU to any entrepreneur looking to grow their business online. Great Customer Service! Conyers Plumbing could not have chosen a better website designer! We are so pleased with our site and the service we’ve received! We would definitely recommend EMU!